After the tragedy this past week in Arizona, we must again deal with the pain, suffering and healing. As a baseball writer, I came across this quote that sums it up for me. “Baseball is reassuring. It makes me feel as if the world is not going to blow up.” — Sharon Olds, This Sporting Life, 1987. 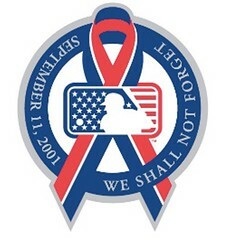 Until then, let’s remember all who suffered in this terrible tragedy.